the first one? do you mean the mitsubishi? similarity..perhaps. but i was more triggered by 2006 camaro concept, then mixed the idea with mitshubishi character. I like the DB X as well, however I would say that it doesn't feel like an aston(I love aston martins) but that SUV doesn't quite feel right, while it is a nice design it doesn't look like an aston design which kinda puts me off. Even the "X" logo doesn't sit well with the Aston style. But super rendering all round? The first mitshubishi is really one of the best renderings i've seen on this forum! thx for the compliment, as for the AM DBX perhaps u were right. but this is merely a sketch, no initial studies. (guess i should spend more time digging the character) any hint how should i improve the style to be more 'AM'? i like your AM, very nice although i wish it wasn't an suv(i'm not a big fan of suvs). i'm fairly new to painter and i was trying to workout how to use this align to path thingy, for some reason it seems to be blocked out. any ideas? sorry guys, just can't do the tuts on 'align to path' thing just yet. got my hands full, i'll do it asap...promise. or is there someone cud help us on this? anyone...? supposed to be Ferrari Dino for year 2010, specs... u know.. 2 seater, mid engine, etc.. etc should compete in Porsche Cayman class..
both the mitsubishi and the aston were cool! can't find anything new in the design. yeah, the lights look cool though! Are you a professional car designer? 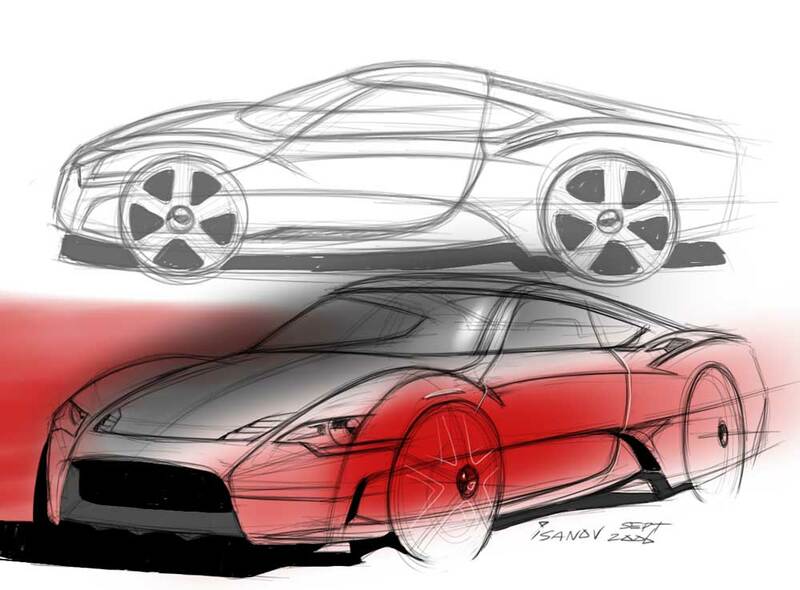 man.I love the first car and the second one.nice form ,nice rendering, good idea and so on.i also looked though your home page.from there,I can see you are of innovation.so post more new work endlessly.let the idea spread out loosely as the spring. purely made with sketchbook pro, 1 hr or less each...enjoy, CnC very welcome. 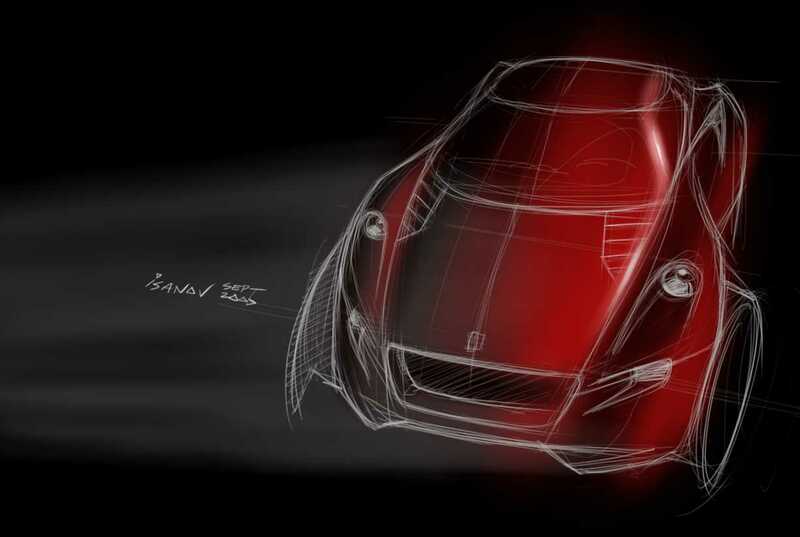 and for China ren, i'm not a pro car designer (yet, i wish.. XD), i'm a product designer. 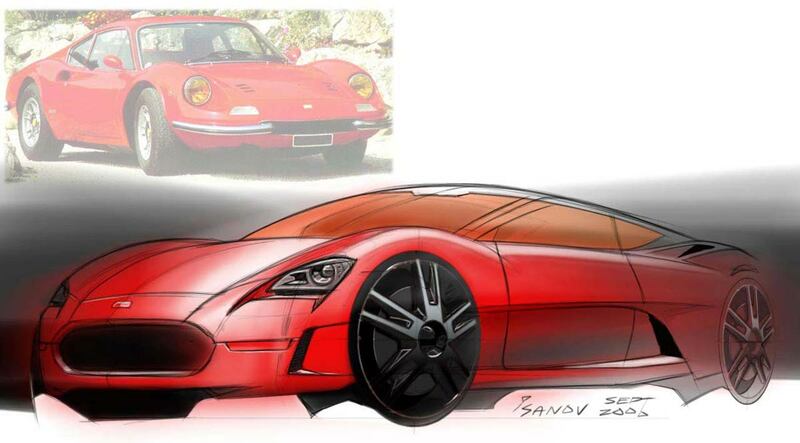 These are nice, although the wheels aren't exactly straight in a lot of sketches. Straight wheels tend to make the car look more planted and strong. Studiopaint is a nice medium, although I used it for more fine tuned tasks. I really like the quick swatches of color. I think to really make the sketches sing, you should add highlights and shadow within the swatch of color. Maybe even subtle indications of an interior. for me slanted wheels give more 'road gripping' feeling. but that's only me.